SoCCAM is a one-day conference held each year at the Claremont Colleges located in Claremont, California. The conference is sponsored by the Lowe Institute of Political Economy atconference page here. Claremont McKenna College hosts Inland Empire Vision in the new, state-of-the-art building, Roberts Pavilion. 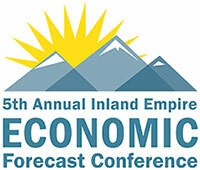 CMC economists will present the Inland Empire Forecast and the Inland Empire Consumer Sentiment Index. Greg Devereaux, recently retired CEO of San Bernardino County, will give a keynote speech on local economic development policy. The program will also feature a discussion of the $15 minimum wage led by local CEOs Tom Manzo and Bill Phelps. Attendees will participate in a collaborative exercise to identify key challenges facing the Inland Empire. You won’t want to miss haring from these exceptional innovators and leaders! Click here for more information. Rumblefish Sushi will be served. Meet the new director of the Lowe Institute and learn about the programs and activities offered including: research assistant jobs under the Faculty Student Research Program, sponsored summer internships, and the Baker-Lowe Scholar program. The Lowe Institute of Political Economy at Claremont McKenna College will hold the 2nd Annual California Macroeconomics Conference at the Claremont Colleges on Friday, October 27, 2017. Topics include all areas of macroeconomics: real business cycles, search models, monetary theory, new Keynesian models, economic growth, and political economy. For more information, visit the conference page here. Information will be provided on the Lowe’s summer internship program for 2017. Pizza, drinks and dessert will be served. SoCCAM is a one-day conference held each year at the Claremont Colleges. The conference is sponsored by the Lowe Institute of Political Economy in conjunction with the Robert Day School of Economics and Finance at Claremont McKenna College. SoCCAM 2016 will be held on Friday, April 1, 2016, in the Freeberg Forum in the state-of-the-art Kravis Center. The luncheon and keynote address will take place at CMC’s Athenaeum. 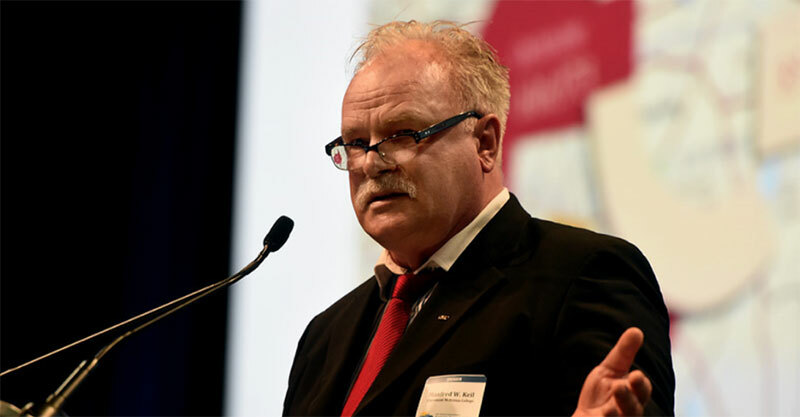 Jens Ludwig, McCormick Foundation Professor of Social Service Administration, Law, and Public Policy in the School of Social Service Administration and Chicago Harris, as well as director of the University of Chicago Crime Lab, will give the conference keynote address. The Lowe Institute of Political Economy is a research institute at Claremont McKenna College. 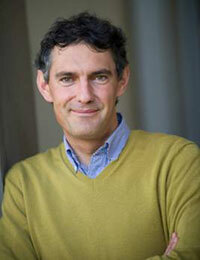 Marc Weidenmier, Robert J. Lowe Professor of Economics and George R. Roberts fellow, directs the Institute. The SoCCAM 2016 organizing committee includes Mary Evans (Chair), Claremont McKenna College; Tom Chang, University of Southern California; Douglas Miller, University of California, Davis; Sarah Reber, University of California, Los Angeles; Sally Sadoff, University of California, San Diego; Paulina Oliva Vallejo, University of California, Santa Barbara. 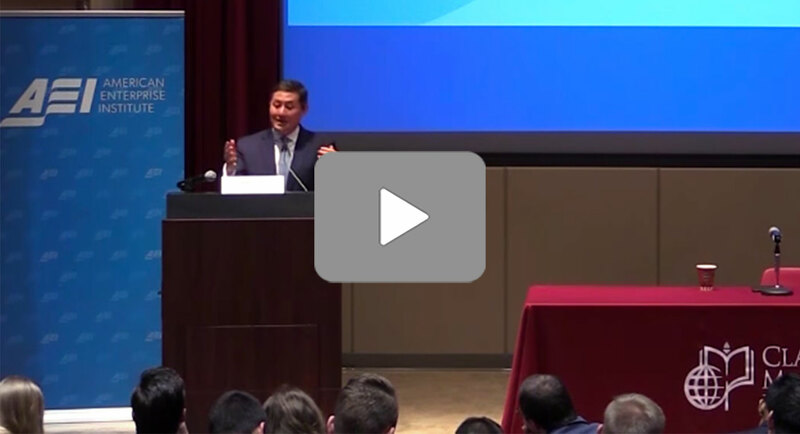 Join us for the 4th Annual Economic Forecast Conference providing in-depth economic analysis for the nation, state and region presented by UCLA Anderson Forecast and Claremont McKenna College. Industry experts will respond to the forecast. Seating is limited, register now! The Lowe Institute of Political Economy at Claremont McKenna College would like to invite paper submissions for the 6th annual Southern California Conference in Applied Microeconomics held at the Claremont Colleges. We encourage paper submissions in all areas of applied microeconomics, for example: developmental, environmental, experimental, labor, health, public, population, law, and urban. We invite paper submissions from faculty and graduate students from all colleges and universities in southern California and beyond. Please send all paper submissions to the Lowe Institute at Claremont McKenna College at: kspetnagel@cmc.edu. The deadline for paper submissions to the conference is January 31, 2015. The SoCCAM Organizing Committee will select the papers to be presented at the conference. Registration is free to all participants. Registration includes breakfast, lunch, dinner, parking and conference booklet. Paper presenters and discussants will be paid an honorarium of $300 to cover travel expenses. For more information, please contact Professor David Bjerk at dbjerk@cmc.edu. Join us for the 5th Annual Economic Forecast Conference providing in-depth economic analysis for the nation, state and region presented by UCLA Anderson Forecast and Claremont McKenna College. Industry experts will respond to the forecast. Seating is limited, register now! The Lowe Institute of Political Economy in conjunction with the Berger Institute for Work, Family and Children and the Robert Day School of Economics and Finance at Claremont McKenna College would like to invite paper submissions for the 5th annual Southern California Conference in Applied Microeconomics (SoCCAM). The one-day conference will be held at the Claremont Colleges Friday, April 4, 2014. The keynote luncheon address will be given by Eric Hanushek, the Paul and Jean Hanna Senior Fellow at the Hoover Institution of Stanford University. We encourage paper submissions in all areas of applied microeconomics including environmental economics, experimental economics, labor economics, health economics, population economics, law and economics, urban economics, and public economics. We invite paper submissions from faculty and graduate students from all colleges and universities in southern California. The deadline for paper submissions to the conference is January 31, 2014. A behind the scenes look at the workings of the Federal Reserve. Documentary followed by a Q&A with film director Jim Bruce. The Lowe Institute and the Athenaeum co-sponsor an economics lecture series to bring distinguished speakers to CMC to discuss important public policy issues. Reception begins at 5:30 p.m. followed by dinner at 6:00 p.m. Unless noted, all programs begin at 6:45 p.m. in the Athenaeum and end at 8:30 p.m. For reseravations, click here. The Lowe Institute of Political Economy at Claremont McKenna College would like to invite paper submissions for the fourth annual Southern California Conference in Applied Microeconomics (SCCAM). The one-day conference will be held at the Claremont Colleges Friday, April 19, 2013. We encourage paper submissions in all areas of applied microeconomics including environmental economics, experimental economics, labor economics, health economics, population economics, law and economics, urban economics, and public economics. Paper presenters will be paid an honorarium of $300 to cover travel expenses. TheLowe Institute will provide a continental breakfast, lunch, and dinner. The keynote address will be given by Hilary Hoynes, Professor of Economics at University of California at Davis and Co-editor of the American Economic Review. The deadline for paper submissions to the conference is January 31, 2013. The Board Members of the SCCAM will select the papers to be presented at the conference. Please send all paper submissions to The Lowe Institute at Claremont McKenna College at kspetnagel@cmc.edu. We invite paper submissions from all colleges and universities in southern California. Faculty and graduate students are encouraged to submit papers to the conference. For more information, please contact Professor Heather Antecol at hantecol@cmc.edu. Click here to visit the Conference Registration page. with an Interest in Economics are Welcome!! The Lowe Institute and the Athenaeum co-sponsor an economics lecture series to bring distinguished speakers to CMC to discuss important public policy issues. Reception begins at 5:30 p.m. followed by dinner at 6:00 p.m. Unless noted, all programs begin at 6:45 p.m. in the Athenaeum and end at 8:30 p.m.
Do you wonder what to expect from the senior thesis experience? Are you curious about the topics fellow writers explore in their senior theses? Please join us for the fall semester Lowe Senior Thesis Writer’s Conference where seniors from the Robert Day School will present their thesis projects and discuss their thesis experiences. The program will include time for questions from student and faculty attendees. We hope to see you there! The Lowe Institute and the Athenaeum co-sponsor an economics lecture series to bring distinguished speakers to CMC to discuss important public policy issues. Reception begins at 5:30 p.m. followed by dinner at 6:00 p.m. Unless noted, all programs begin at 6:45 p.m. in the Athenaeum and end at 8:30 p.m. For reservations, click here. The Lowe Institute of Political Economy in conjunction with the Berger Institute for Work, Family and Children at Claremont McKenna College would like to invite paper submissions for the third annual Southern California Conference in Applied Microeconomics (SCCAM). The one-day conference will be held at the Claremont Colleges Friday, April 13, 2012. We encourage paper submissions in all areas of applied microeconomics including environmental economics, experimental economics, labor economics, health economics, population economics, law and economics, urban economics, and public economics. Paper presenters will be paid an honorarium of $300 to cover travel expenses. The Berger and Lowe Institutes will provide a continental breakfast, lunch, and dinner. The keynote address will be given by Michael Greenstone the 3M Professor of Environmental Economics at the Massachusetts Institute of Technology (MIT). The deadline for paper submissions to the conference is January 31, 2012. The Board Members of the SCCAM will select the papers to be presented at the conference. Please send all paper submissions to The Lowe Institute at Claremont McKenna College at kspetnagel@cmc.edu. We invite paper submissions from all colleges and universities in southern California. Faculty and graduate students are encouraged to submit papers to the conference. For more information, please contact Professor Heather Antecol at hantecol@cmc.edu. Please join us for the spring semester Lowe Senior Thesis Writer’s Conference where seniors from the Robert Day School will present their thesis projects and discuss their thesis experiences. The program will include time for questions from student and faculty attendees. Professor Janet Smith will MC the event. We hope to see you there! The one-day conference will be held at the Claremont Colleges Friday, April 16, 2010. We invite paper submissions from all colleges and universities in Southern California. For more information, click here. The Lowe Institute of Political Economy would like to invite all CMC students to participate in its First Annual NCAA Men and Women’s March Madness Tournament Game. The Lowe Institute will hold an information and demonstration session Monday, March 8, 2010 at 8PM to show students how they can build a model to predict games in Excel and participate in the game. If you are not able to make the information session on Monday night and would like to participate in the game, please send Professor Weidenmier an email: mweidenmier@cmc.edu. Looking forward to seeing you Monday! The Lowe Institute of Political Economy and Salvatori Center for the Study of Individual Freedom in the Modern World present CIVITAS – a society established to encourage discussion and increase awareness of central issues in economics and politics. CIVITAS will feature several documentaries on political economy during the semester. Each documentary will be followed by a short lecture and discussion with a faculty member. Capital Group Companies, Inc. is a widely respected investment management organization with 9,000 employees across four continents. The TAP internship is an opportunity to gain hands-on experience, build a network of business relationships, learn from experienced mentors and contribute to our organization on a meaningful level. We offer assignments in a variety of business areas. To learn more about the program, join us for refreshments at our on-campus information session (view invite): Thursday, January 29, 2009, 7:00 – 9:00 p.m. in the CMC Founders Room. Please submit your resume via CMConnect by 11:59 p.m. on Sunday, February 8. For more detailed information on the TAP internship please click here. The Lowe Institute will host a barbecue on Friday, September 19, 2008 at noon at the picnic area near Green Hall. We encourage all students with an interest in economics to join us for lunch and find out about student research opportunities at the Institute. SNACK BREAK…Take a break from Exams! The spring meeting of the Lowe Institute Board of Governors is scheduled for Monday, April 13th at 5:30 p.m. at the California Club in Los Angeles. Faculty/Student Research Projects will be prsented. Lowe BBQ Spring 2009 – New Date! The Lowe Institute will host our semi-annual on Friday, April 17th, 2009 at 12:00 p.m. at the picnic area near Green Hall. Burgers, hot dogs, chips, cookies and cold drinks are on the menu. We encourage all students with an interest in economics to join us for lunch and find out about upcoming student research opportunities at the Institute. The Lowe institute Summer research assistants are invited for pizza and soda on Friday, June 12, 2009 at noon. This is an opportunity to meet the other RA’s at the Lowe Institute who will be working this summer. Please join us! The Lowe Institute will host a pizza luncheon on Tuesday, September 8, 2009 at NOON in the Founder’s Room in Bauer North. Pizza, salad and cold beverages will be served. We encourage all students with an interest in economics to join us for lunch and find out about student research opportunities at the Institute for the 2009-10 academic year. *Due to the poor air quality caused by the fires, we moved the location indoors and will be serving pizza instead of hamburgers and hot dogs.